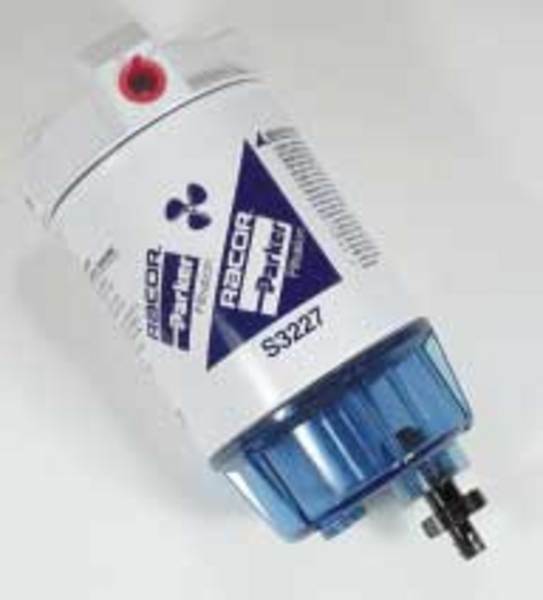 Racor Fuel & Water Seperator: A multi-port head for each installation simplifies mounting in cramped quarters. See-thru bowl resists discoloration from additives and ultraviolet light--A see thru that stays see thru. Fuel filter/water seperator with mounting head, spin-on element and see-thru bowl. 30 GPH 1/4 NPTF ports.